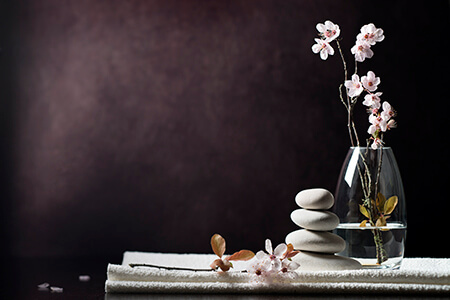 Ageless Aesthetics in Ashland, KY provides a tranquil environment for each massage so that each patient can feel total relaxation. Each massage is unique, ranging from direct deep pressure to sensual oils and hot stones. This enables the patient to achieve a desired stress free state. Tops & Tails Massage is a scalp and foot massage designed to provide the ultimate relaxation for the patient. This massage targets tension release in areas of the head, hands, and feet. Stress is melted away and a state of relaxation is reached when warm towels are perfectly applied to fit the contour of the individual's head. Our very experienced massage therapist starts massaging the hands and feet by pressing the reflex points to release tension and toxins. The Fascia Blaster Treatment / Seaweed wrap is a Great NEW way to reduce cellulite, remove toxins and unwanted water weight! This Treatment is a relaxing way to energize and reset your body. 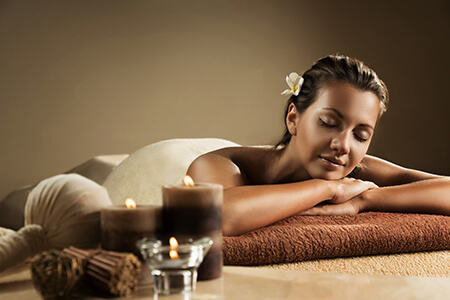 Choose one of our massage enhancements for a small additional fee to compliment your massage experience! Dry Skin Enhancement - With your choice of a dry brush or loofah gloves, we exfoliate the body and remove dead skin layers and improve skin texture. This enhancement is also accompanied by a deep moisturizing cream. Dry Feet and Hands - Using a sugar or salt scrub of your choice the hands and feet are exfoliated to get the layers of dead skin off and paired with a deep moisturizing foot and hand crème. Sinus Therapy (Face) - With your choice of essential oils used for sinus release and paired with strategically place cold stones this enhancement helps release sinus pressure. Scalp Enhancement - With your choice of essential oils and warm oil the mixture is applied to the scalp and deeply massaged. This enhancement is perfect for headaches, tension, stress, and fatigue. Reflexology - Reflexology points on the bottom of your feet that correlate to certain points of the body. This enhancement is very relaxing and stress relieving. Stone Enhancement - Warm stones used to warm up and soothe the muscles. This is a very relaxing and stress relieving enhancement.